Last week, Members of Parliament in the UK voted 461 to 89 in favour of government plans to leave the EU by March 31st, 2017, thereby certifying the governments pro-Brexit agenda. According to leaked government documents, Prime Minster Theresa May has also granted permission for the Secretary of State for Exiting the European Union, David Davis, to draw up plans for creating a “prosperity zone” with Canada, Australia and New Zealand, thereby implying negotiations could soon begin with respect to free trade (and potentially free movement) between these nations. With dedication to promoting free movement between the four Commonwealth countries, the CFMO has written the below letter to David Davis MP, not only requesting his support for free movement, but requesting a face-to-face meeting to detail our proposals and how they may benefit the United Kingdom upon departing the European Union. 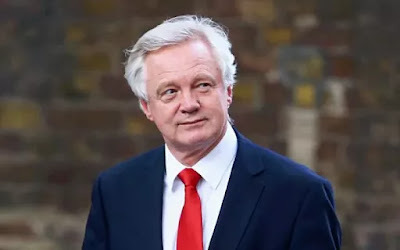 We also encourage all our supporters to email David Davis MP, pledging their support for the United Kingdom to seek free movement between Canada, Australia and New Zealand as part of post-Brexit free trade deals. Those wishing to use our official letter template can do so by downloading it here and forwarding it to david.davis.mp@parliament.uk. For more information about our campaign, please follow us via Facebook and Twitter. I am writing today with respect to the United Kingdom’s upcoming departure from the European Union, and to request your support for the Commonwealth Freedom of Movement Organisation’s proposals in granting free movement for citizens between the United Kingdom, Canada, Australia and New Zealand. On June 23rd, 2016, approximately 52 percent of the British public voted to leave the European Union. As such, the expected date for the British government to initiate the “Brexit” process is March 2017, whereby the United Kingdom will officially begin proceedings to exit the European Union under Article 50 of the Treaty on European Union. Upon our exit, the UK will also begin formal proceedings of establishing new trade and diplomatic agreements, not only with the EU, but with other nations in the international community. As such, our departure from the European Union presents a significant opportunity for the United Kingdom to re-establish our Commonwealth ties with Australia, Canada and New Zealand, and grant reciprocal rights for each of our citizens to live and work in these countries. Support for our campaign is widely supported throughout Australia, Canada and New Zealand, with a major poll conducted globally finding that 70% of Australians, 75% of Canadians and 82% of New Zealanders support the re-establishment of citizens’ rights to live and work in these countries. This shows a remarkable level of support and provides a clear mandate for expansion of our current immigration system. Furthermore, our proposals detailing regulations for the free movement of people between these countries (based upon the current model of free movement between Australia and New Zealand) would ensure that the United Kingdom maintains a high level of control over its borders by granting working and living rights to law abiding, contributing citizens of Australia, Canada and New Zealand. The key to our future prosperity lies in how effectively we innovate and compete in an increasingly globalised marketplace. By granting Australian, Canadian and New Zealand citizens reciprocal rights to work and study in the United Kingdom, we will unlock a unique and substantial competitive advantage for our nation globally. In effect, we will create the foundation of a single labour market servicing the world’s third largest combined economy, with a combined GDP of over USD$6.5 trillion. Throughout this huge region, our citizens can live, work and study freely while our businesses recruit the best talent, all without the cost, risk and often lengthy delays currently experienced through arduous immigration controls and visa applications. We would also have unparalleled access to the ideas and innovations being developed in the European, North American and Asian-Pacific markets, thereby advancing innovation and investment between our four nations. Furthermore, with freedom of movement based upon the current Trans-Tasman Travel Agreement between Australia and New Zealand, the United Kingdom would be free to adjust immigration protocols as the situation demands, as well as ensure we retain full control over our borders and immigration system without impediment. In voting to leave the European Union, we now have the greatest opportunity for our nation to achieve freedom of movement, and secure economic and social prosperity for our citizens. We share the same Head of State, the same common-law legal system, the same culture, the same respect for democracy and even the same language. It is now time for us to embrace our historical ties, and grasp the substantial benefits that freedom of movement between our four nations would bring. I respectfully ask for your support in regards to this matter, and if possible, request a formal meeting with you in the new year to explain our in-depth proposals and how they may benefit our country outside of the European Union. I very much look forward to your response, and wish you the best of luck in negotiating the United Kingdom’s departure from the European Union in the coming months.